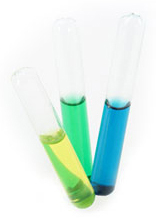 J. Penner Corporation is the leader in glass ampoule filling. Our innovations in glass ampoule manufacturing allow us to work with volatile substances, medical liquids, air sensitive chemicals as well as primers and adhesives. 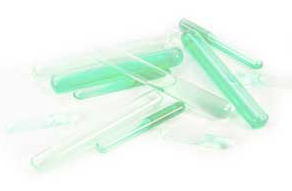 Glass ampoules provide superior preservation of solution, unlike plastic ampoules, while J. Penner’s consultants and engineers provide innovative and effective applicator designs for your delivery needs. Our team works closely with you to determine the most effective and fiscally feasible way to design, develop and deploy a product, be it retail or industrial. Our custom packaging solutions have led to major innovations in the glass ampoule packaging industry. We look forward to continuing these innovations by anticipating marketplace trends and adapting to new technological developments in the glass ampoule industry..
All aspects of design and production of your product are pulled together under one roof in the United States. We pride ourselves with the ability to complete the entire process from design and prototyping, to production and packaging. J. Penner Corporation’s glass ampoule manufacturing facilities house skilled employees that are well versed in our state of the art systems and machinery; a combination that yields quality finished goods efficiently and effectively.